I recently had a need to clean some of my very small collection of jewelry and realized I wasn’t quite sure how to do it. I’ve seen jewelry cleaner before but I didn’t have time to find a jewelry store to buy some and I wanted my earrings cleaned asap. 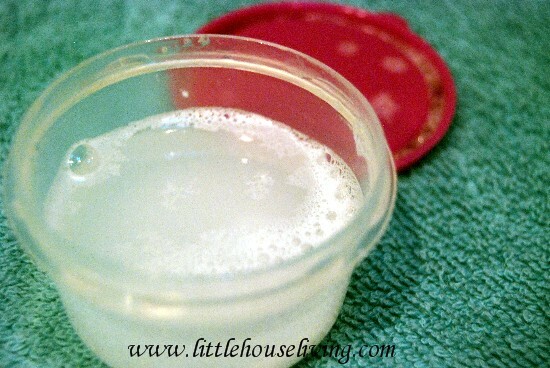 Lucky for me with just a few household items you can easily make your own homemade jewelry cleaner! Start with a small amount of water in your little container. I used maybe about and 1/8 of a cup. 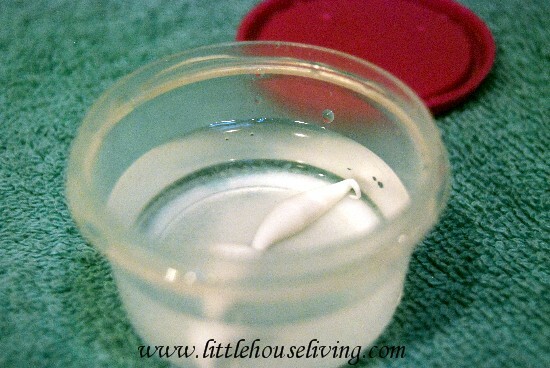 Add in a spoonful of baking soda and a few drops of toothpaste. There isn’t really a measurement to it, but only small amounts are needed so it’s easy to mix it together. Put the lid on your container and shake! 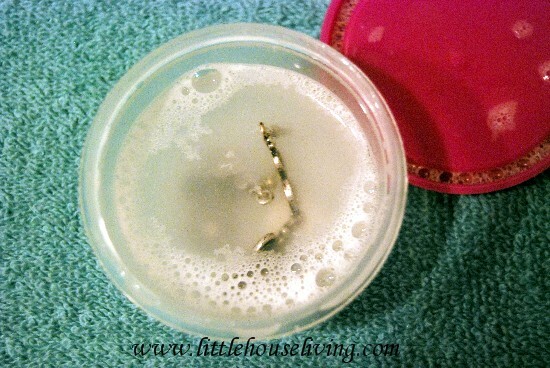 Add the jewelry that needs to be cleaned to the container. Let it soak for a few minutes. 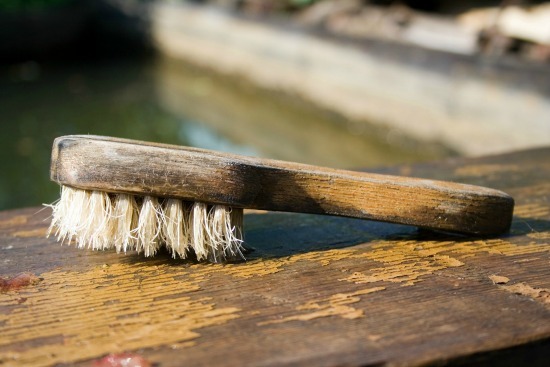 If you jewelry is really dirty you can use an old toothbrush and brush it lightly to clean. 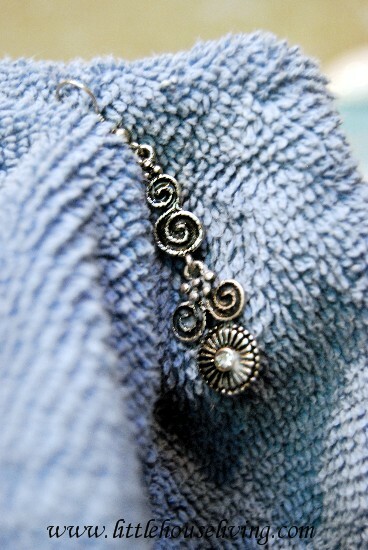 Remove your jewelry from the homemade jewelry cleaner and wipe off with a rag or towel until dry. rub at some of the tarnished bits until the black comes off and your jewelry is left sparkling! Put the lid on and save in your cupboard for future use. Dump out the cleaner every month or two and replace it with a fresh batch. That’s really all there is to it! 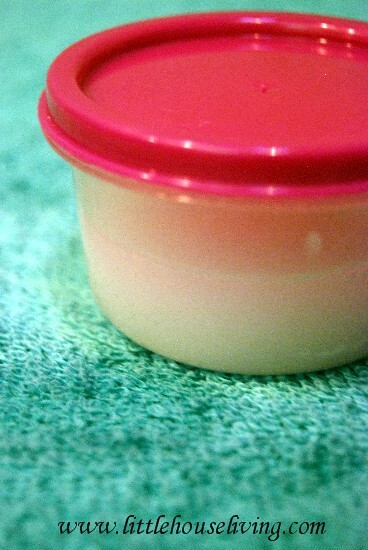 I’ve tried cheap jewelry in this homemade jewelry cleaner solution (stainless steel, ect) I have not tried gold jewelry. It should work fine but you may want to test it on a piece you don’t care much about first. 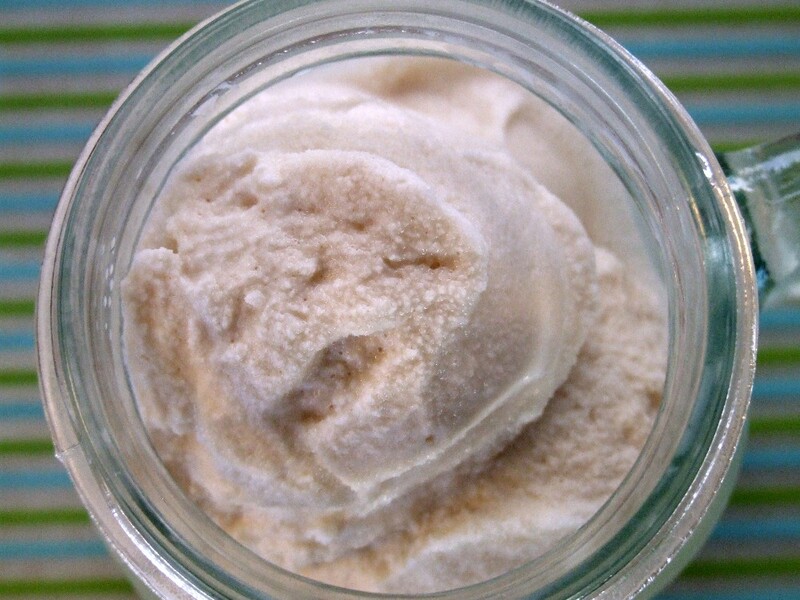 Have you ever tried making a homemade jewelry cleaner? Has it worked for you? Been making my on jewelry cleaner for years. Hot water, dash or ammonia and a drop or two of dishwashing liquid. Let soak till water is cool then rinse, no buffing and shines like new! I’ve always just used toothpaste, no other ingredients, to get my silver clean. Just a tiny bit on my finger rubbed into the jewelry, and the tarnish comes right off. You can also use just baking soda, water, and aluminum foil for big stuff (like candlesticks and vases). Submerge your item, and press the foil all around it. Everywhere the foil touches, the tarnish just comes off. It stinks, though. The water gives off fumes that are pretty obnoxious.